Voice over Internet Protocol (VOIP) uses the internet to allow two people to have a conversation. Because it uses the internet, a VOIP computer program is cheaper than using a normal telephone and has features such as a virtual whiteboard. Popular VOIP programs include Skype and GoogleTalk. Vodafone's current Starfish project is quite promising as VOIP is still in it's infancy. However, Vodafone should definitely look at doing a mobile VOIP package in order to take advantage of the growing demand for VOIP. Voice over Internet Protocol (VOIP) is the new wave of telecommunications on the internet. In the same way that video, sound and pictures can be digitised and sent over the internet, the idea of VOIP is to compress spoken sound and video to transmit it over the internet so two people can hold a conversation. As VOIP uses your normal internet connection there is no additional charge aside from the cost of connecting to the internet. With high speed broadband internet, VOIP becomes a reliable option for cheap local and international calls. Computer to Computer - Where both parties have VOIP and computers. Phone to Computer - Where you call someone and the person's phone number is actually a VOIP service that is picked up by the person's computer or special VOIP phone. Because most VOIP programs are linked to your computer, it makes a number of things easier and cheaper than traditional telephone services. One of the technological innovations in recent years is mobile VOIP. With mobile VOIP, people can use a handset to connect to a wireless network connection and connect to the internet. People can then utilise the data sending capabilities of the handset to make calls. This saves users money on otherwise expensive calls. A number of mobile phones now have this ability built in while other handsets are actually mobile VOIP phones that can be used only around the wireless network connections. A good example of how mobile VOIP can be useful is for organisations with highly mobile staff and several buildings. As Computerworld reports, the North Broward Hospital District in America has a mobile VOIP system in place which allows for coordination for the several hospitals within the area. This system saves the hospitals plenty of money on mobile and inter-hospital calls. One of the biggest and most well known VOIP providers in the world. A VOIP provider that allows you to chat to other Gizmo users and also allows you to chat to other programs like MSN messenger. A very simple VOIP service by Google. It is gaining popularity as google branches out into different services. Any registered gmail user has full access to Google Talk. "(t)he voice quality is excellent because we use GSM over the airwaves," he said. "The quality of VoIP calls over the air is nowhere as good largely because of low data speeds, and even when new higher-speed transmission rates become available, circuit-switched voice quality will remain noticeably better." Howstuffworks - On how VOIP works. CNET - A VOIP guide on VOIP options. Let's take a look at Skype and Google Talk and the various options to it's users. One of the largest VOIP providers, Skype's user base continues to grow. It is popular internationally. Launched in 2005, Google Talk is a small lightweight VOIP program. 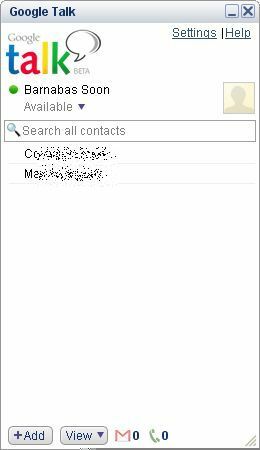 As it is by google, all your gmail contacts are automatically available to talk to from Google Talk. Call other Google Talk users. Chat to other Gmail or GoogleTalk users. Unlike Skype, you cannot hold a voice conference or video conference. However, Google Talk can also be integrated into your personalised home page at iGoogle, unlike Skype which is it's own program on its own. This means that users can chat with their contacts and share information while surfing the net. 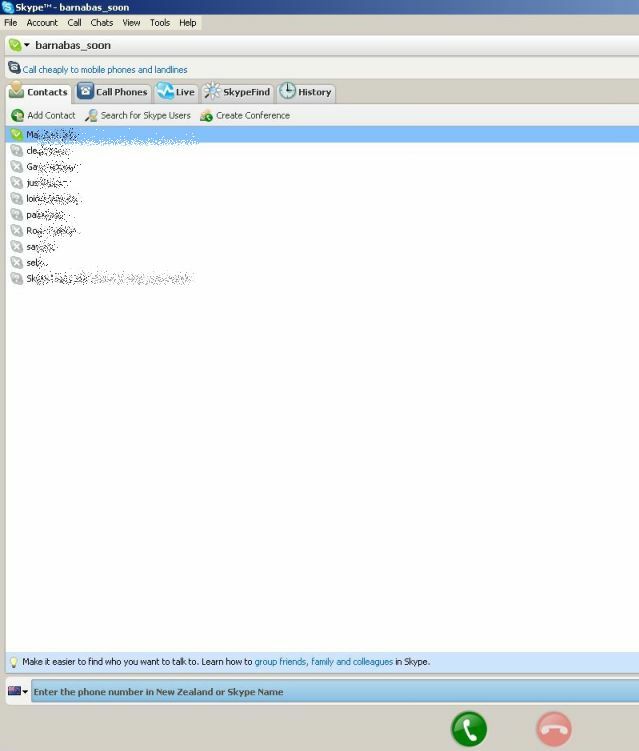 The video below shows you how easy it is to add Google Talk to iGoogle and use it. VOIP has only become a viable residential consumer option in the last 5 years as broadband has become cheaper, more reliable and more affordable. VOIP is controversial with traditional telecommunications providers mainly because it undercuts their profits from the telephone user. Despite the opposition, better and stable high speed internet continues to fuel the demand for VOIP which is cheaper for the consumer. Quality - VOIP requires highspeed internet in order to maintain a stable high quality audible signal. Cost - Data costs over mobile phone remain expensive. Mobility - Stable broadband is generally from fixed wire or cable, so VOIP usually requires you to be next to a computer or within a Wi-Fi zone. Reliability - As VOIP depends on the internet connection, should there be a power cut to the computer equipment the VOIP service will also be disconnected. Normal copper wire phones do not have this issue. At the moment only countries with reliable stable fast broadband such as Japan have VOIP that is at the level of normal phone line quality. Vodafone Starfish circumvents a number of these problems by using the connection to the carrier via the normal mobile waves and then have the carrier use VOIP. I believe this option does have a future as wireless broadband is still some years away from providing the stability and reliability of normal mobile phone calls. As Vodafone moves into the fixed line business in New Zealand, it has started to offer unlimited landline calls from landline to Vodafone mobile through ihug. Similarly, Vodafone could look at a package with a VOIP provider such as Skype or Google to provide unlimited calls from VOIP to chosen Vodafone mobiles. Similar to the idea above, there could be a VOIP local calling area where calls to other VOIP phones or landline phones could be cheaper, free or unlimited for a set fee. Gizmo already does this with an All Calls Free plan where users that are considered 'active' are granted free calling to mobile phones and landlines as long as they continue to be listed as 'active'. One of the ways in which Gizmo attempts to get new users is to encourage existing users to invite friends to join Gizmo and place the existing user's details in their address books. By being listed in a new user's address book, an existing user qualifies for 'active' status and the free calls. As mentioned above, mobile VOIP involves having a handset that communicates to a wireless network. With more and more mobile phones coming with data sending capabilities, users can choose to make either normal or VOIP calls. Having a mobile phone that will automatically detect and use VOIP settings in the area can save you money. Rather than simply having it as part of a data package, perhaps Vodafone can provide an integrated package for mobile VOIP. Very often, mobile VOIP can also be bundled with other features such as sending and receiving e-mail to enhance its value. This is currently a long way off. However as wireless broadband becomes faster and faster, users will no doubt want to use video VOIP. Again, Vodafone should be prepared to offer a package based specifically around video VOIP. What is the broadband penetration in a country? How common is broadband and wireless broadband? In developed countries, cable or ADSL broadband is fairly common but wireless broadband is usually only available in specific areas such as shops or private residences. How fast and reliable is the wireless broadband? In countries such as New Zealand, while broadband penetration is fair the broadband connections are fairly slow. VOIP has yet to become a true alternative to normal telephone service. What are the legal barriers to VOIP? A number of countries such as the United Arab Emirates and India have legal limitations on VOIP services. Very often governments which hold a monopoly on telecommunications services fear VOIP will undercut their revenue and pass laws to limit or ban VOIP. Voice Over Internet Protocol (VOIP) is a service which uses your internet connection to hold a conversation with someone else. Because VOIP uses your computer, a number of features such as video conferencing and file sending is also available. Popular VOIP providers include Skype, Gizmo and GoogleTalk. While Skype is a separate program by itself, GoogleTalk can be integrated into your personal webpage making it more convenient to use. Although VOIP is still some time away from matching the quality of normal voice calls, Vodafone should definitely considering offering a variety of VOIP packages in order to capitalise on the increasing demand for VOIP and mobile VOIP.